This sophisticated boutique hotel is the ideal retreat from which to explore the picture-postcard area. 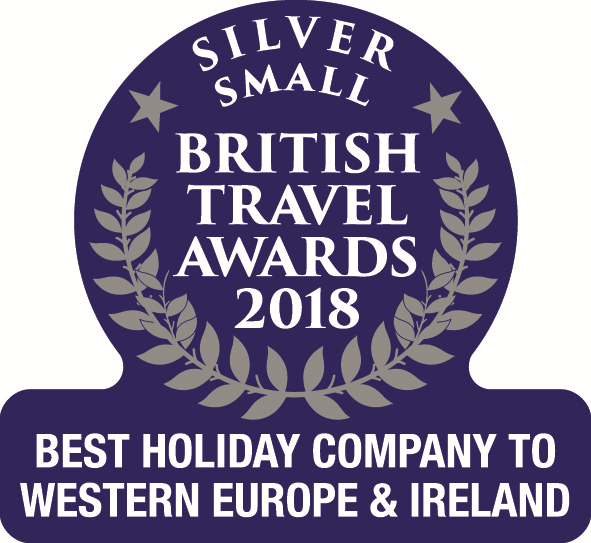 Hand-picked for its idyllic setting, first class hospitality, beautiful accommodation and fresh Corsican cuisine, Hôtel le Golfe is the ideal choice for a relaxing break whether you’re looking to spend a week here or just few nights whilst touring the island. 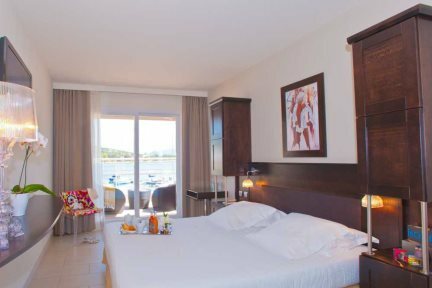 The hotel boasts a fantastic position on harbourside of Porto Pollo, with spectacular views of the mountains across the bay and direct access to the beach and bustling marina. With only 20 rooms and suites, the hotel exudes a certain intimate sophistication whilst having good facilities on site – including a gastronomic restaurant, a heated pool and a range of beauty treatments using Corsican essential oils. It's also the little touches that make this place very special, from the trips out to sea on the hotel’s private boat to the tailor-made activities on offer (at a supplement). As for the rooms, they're gorgeously designed in a contemporary style with clean lines and a private balcony overlooking the marina and the shimmering sea. The west coast of Corsica is home to some excellent beaches. Make the most of your hire car to explore: take a trip to the bustling tourist town of Propriano, where you'll find an abundance of café terraces and good restaurants, not to mention some great ice cream-parlours; or venture into the mountains for a walk and a slice of authentic Corsica. Heated swimming pool (15m x 5m), gastronomic restaurant, bar, 24-hour reception, Wi-Fi, beauty treatment menu (payable locally), parking nearby at the harbour. Boat trips and activities bookable and payable locally. En-suite shower room and wc, air-conditioning, Wi-Fi, television, safe, phone, minibar, room service, balcony. Approximate size 18-22m². This room offers an unspoiled view of the marina, the beach and the Valinco bay. It has a shower room and a balcony with lounge seating. Bed configuration: 1 king size (180 x 200cm) or twin beds (90 x 200cm). Approximate size 26-32m². 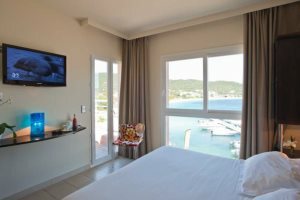 This room offers an unspoiled view of the marina, the beach and the Valinco bay. It has a shower room and a balcony with lounge seating. Bed configuration: 1 king size bed (180 x 200cm) or twin beds (90 x 200cm). Porto Pollo is a quaint seaside village with a small beach and a dotting of eateries. It’s a pleasant place to stop if travelling en route along the coast or to use as a relaxed base close to the white sand beaches of the Valinco coast, all with clear waters superb for swimming and snorkelling. A beautiful beach, beyond Porto Pollo, which is fairly crowded during high season but quiet during lower season. There is a café which sells ice-creams and drinks on the beach and a windsurfer hire operator. A walk to the cliff-top of Capo di Muro, which separates the gulf of Ajaccio from the gulf of Valinco, will reward you with outstanding views of the bay and beautiful hidden coves along the way (a 3h / 4h circular walk from Cascionu). 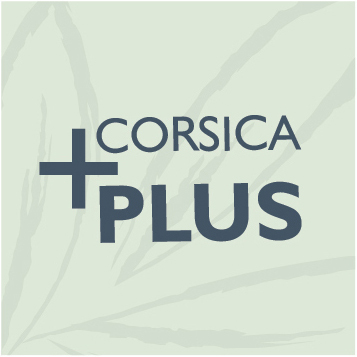 Southern Corsican wines are some of the best on the island with vineyards spreading between Figari and Ajaccio, and throughout the Sartenais. Several of the better known vineyards are Domaine Mosconi, Domaine Sant'Arnettu and Castellu di Baricci. Venture into in the Alta Rocca by car and discover some of the most stunning forest and mountain scenery on the island. Drive through an area of sleepy perched villages, pink granite pinnacles and archaeological sites whilst taking in the breathtaking views of the coastline below. There are ample opportunities for outdoor pursuits here including walking, canyoning, rafting or even 'Via Ferrata' climbing.